Stavropoulos and Partners has an excellent reputation for matters such as tax audits, transfer pricing, income tax, and VAT claims. Clients consider the firm to be ‘a valuable partner’ and praise its ‘very good knowledge and understanding of the market’, its ‘innovative and concrete advice, effective litigation, and competitive price policy’. Stavropoulos & Partners ‘exceptional’ team is praised for its ‘immediate responses, clear replies and well-documented opinions’. The firm is equally strong in contentious work as it is in advisory and strategic planning matters. Recent disputes experience includes several significant litigations relating to stamp duty, VAT and transfer pricing. Well-regarded compact firm that is best known for its strong tax practice. Particularly respected for its strong tax litigation offering that includes representing clients before Greek courts and the ECJ. Also advices on tax planning and restructuring. Represents an impressive roster of clients comprising both international and Greek corporates. Stavropoulos & Partners was introduced to us due to its reputation in handling mainly tax law issues. Nevertheless, from the beginning of our cooperation, the legal services provided by Stavropoulos and Partners – not only regarding tax law issues – highly exceeded our expectations. Summing up, I would say that Stavropoulos and Partners is distinguished for its reliability, direct response, prompt acquaintance with the peculiarities and the requirements of the client and its excellent colleagues. Obviously, I would undoubtedly recommend cooperation with Stavropoulos & Partners law office. Stavropoulos and Partners has ‘excellent in-depth knowledge of antitrust issues, particularly those pertaining to market dominance’. The firm regularly represents clients before the Competition Committee, and also shows ‘strong awareness of Brussels procedures’. 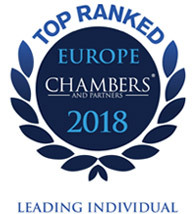 Stavropoulos & Partners law firm has strongly contributed into building a Compliance with Competition Law culture into our Company and their presence and participation into the core business of our Company is considered as an added value. Their professionalism and dedication demonstrated lately for ATHENIAN BREWERY’ s case in front of the HCC and further in front of the Court of Appeal is being appreciated and greatly respected by us. We would like to express our gratitude for all the services and guidance provided. Over the years, the firm has become an invaluable partner to our business. Ioannis Stavropoulos, Evanthia Tsiri, Terpsihori Magdalinou and their colleagues have provided us with an excellent level of service and dedication across all the firm’s disciplines, with particular emphasis in corporate, commercial, anti-trust and tax matters. They have demonstrated deep and thorough understanding of our needs and outstanding response to our requests enabling the development of a trusted relation. Evanthia Tsiri and Ioannis Stavropoulos at Stavropoulos & Partners are both experienced in EU and competition law. The firm has a strong track record of advising clients during formal investigations. Recommended lawyer for EU and Competition: Ioannis Stavropoulos.